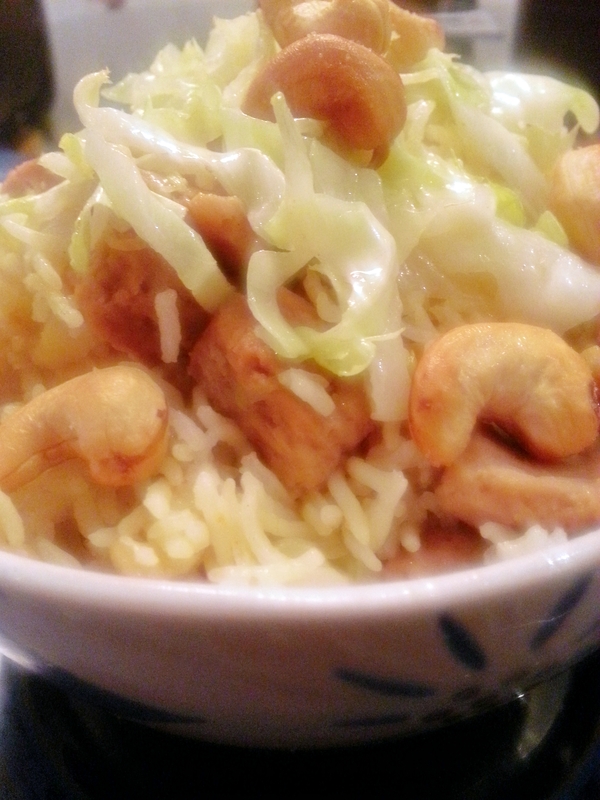 I adore this rice, to me this dish is pure, homely comfort food where I can change the ingredients as and when depending on what I have in my fridge. The rice is fragrant and beautifully speckled it is a vegetarian dish, but you can add some leftover chicken or lamb for added protein even some paneer and tofu is great.This is the kind of delicious dish that you would make for your children especially when they are cranky and u can’t figure out what to give them. A few days back my niece was here with her adorable son Roshan, now Roshan is an extremely active baby he is almost four and loves to play there are times when the darling boy gets soo.. tired playing that he becomes irritable and can’t eat anything but trust me he likes this dish and more than him his mum loves it so this dish is in big demand when little Roshan is around. You can make this dish a couple of hours ahead and just leave it to sit, covered on the switched off stove until needed . It sits perfectly and patiently to be devoured later on by some very hungry kids. Put the soya bean chunks into a bowl of hot water. Keep aside. Heat the oil and ghee or butter in a wok or large pan, add the cloves, bay leaves, cardamom pods and cinnamon stick to the hot oil, let it sizzle for a few seconds add the finely sliced onions and fry them for a minute then add the grated ginger and crushed garlic to the pan stir for 5 minutes until lightly golden and soft. Stir in the coriander powder, garam masala powder, turmeric powder and red chilli powder then drain the soya bean chunks and add them to the pan along with the chopped potato and shredded cabbage,cook on low heat for 7-8 minutes ( keep stirring occasionally, u don’t want the masala to stick or burn).Drain the rice and add it to the pan cook for further 1-2 minutes let the rice get coated with the masala nicely. Pour in the stock and add the salt stir well to mix. Bring to a boil, then cover your pan tightly and simmer over a very gentle heat for 20-25 minutes, until your rice is tender. Turn off the heat, take the lid off and check the seasoning. 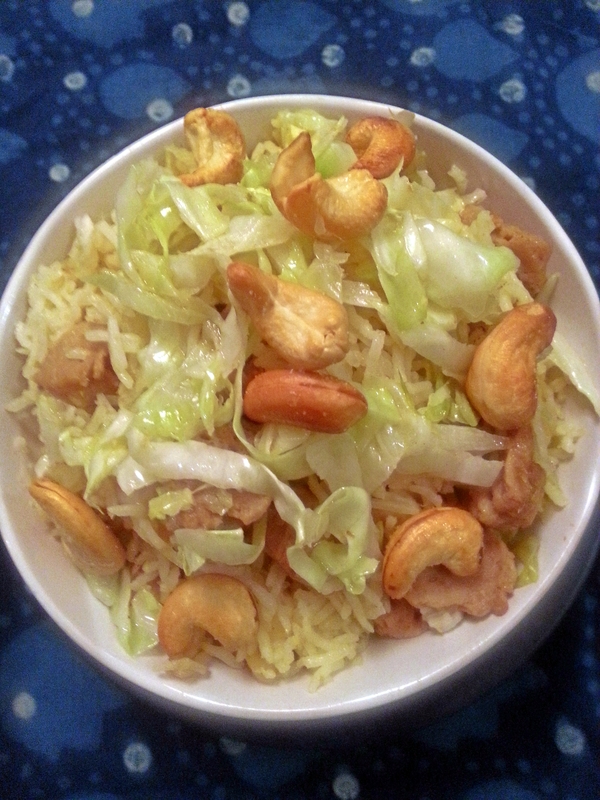 Fork the rice through when you are ready to serve it, scattering the toasted cashew nuts on top.